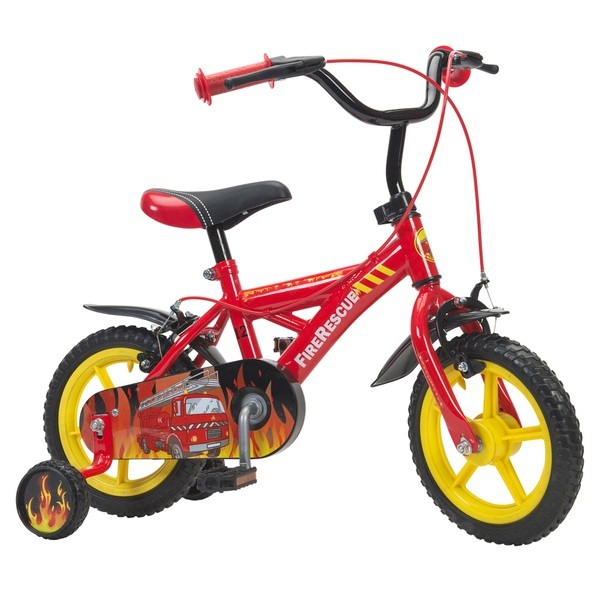 The 12 Inch Fire Rescue Bike is an ideal first bike to teach your little one how to ride a bike. The bike can grow with your child's ability as it features removable stabilisers.With its eye-catching flames and slick design, kids can enjoy hours of fun racing around on this great bike! EU Warning: Not suitable for children under 3 years old. To be used under the direct supervision of an adult. Helmet and safety gear recommended.